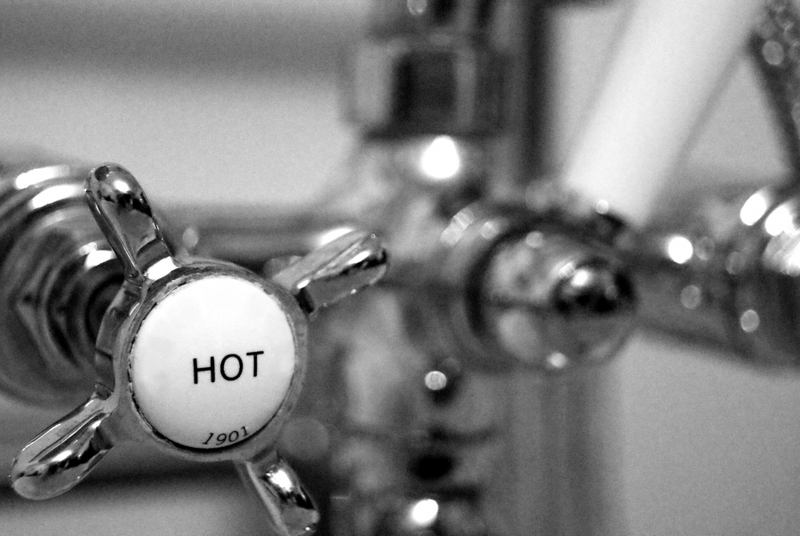 When plumbing issues arise, it’s important to know what to do. Whether you’re a Phoenix homeowner or you rent an apartment downtown, there’s a good chance you’ve dealt with your fair share of plumbing problems, like a clogged toilet or slow drain. 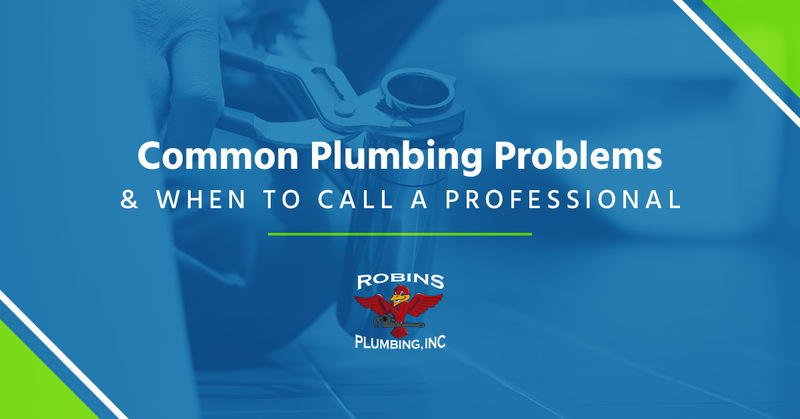 Sometimes these issues just need a little elbow grease to fix, but other times, you’ll want to call a plumbing company to help. When you need an experienced plumbing company in Phoenix, you can trust Robins Plumbing, Inc. to provide you with top-notch services. From drain cleaning to faucet replacement and water heater repairs, you can rest assured that our team will do everything in its power to help you with your plumbing needs. Now, let’s take a look at some of the most common plumbing problems you may experience. There’s nothing more inconvenient than a dripping faucet. If your kitchen or bathroom faucet continues to drip water with no avail, this is a telltale sign that there is something wrong with your plumbing system. Not only is a leaky faucet annoying, it can send hundreds of gallons of water down your drain per year, resulting in higher utility costs. You may be wondering how your kitchen faucet decided to stop doing its job all of the sudden. This is a great question, and one that we get a lot at Robins Plumbing. To help you understand this common plumbing issue, we’ll do our best to explain it thoroughly. The water that flows through your plumbing system is under pressure to move through a series of pipes. When you turn on the bathroom sink to brush your teeth, a rubber or silicone-based washer will lift up, allowing water to flow freely to your appliance. When you turn the tap off, that same washer will create a water-tight seal that will prevent more water from coming out of the pipes. Over the course of time, these washers can get torn, damaged or corroded, leaving them less efficient than before. This means that the smallest trickle of water may find its way to your faucet, even when it is technically turned off. If you’ve woken up to the “drip, drip, drip” sound of a leaky faucet, contact your local plumbing company to inspect the issue. Do you constantly find yourself having to jiggle the handle of your toilet to get it to flush properly? This may be a sign that your toilet is running. This is likely due to the flapper valve in your toilet system. Older toilets feature the old-fashioned chain and flapper seal, while newer, more modern toilets use what is called a flush valve. Over time, the flapper valve may start to lose its shape or no longer fit properly. Pro Tip: Want to inspect the health of your flapper valve? Try this at-home trick. Place a few drops of food coloring into the tank of your toilet. Wait a few minutes, and check the bowl of your toilet. If you notice that the food coloring has found its way into your toilet bowl (and you haven’t flushed it), this may be a sign that your flapper seal or flush valve should be repaired or replaced. This is a plumbing problem our professionals hear about all too often. If the water pressure in your home has started to dwindle, this may be an indication that something has gone awry with your home’s pipes. In most cases, we’ve found that low water pressure is a result of built-up deposits or sediments in your faucet. If you’ve already invested in a water filtration system for your home, these deposits will find their way to filters, which will eventually get changed. If you do not have a water filtration system, however, these deposits will collect on the inner workings of your faucet heads, shower heads, and more. Have you ever taken a shower, only to find yourself standing in a pool of soapy water? This can be a major inconvenience, and likely means that you have a partial or complete clog in your drain. Sometimes a plunger is all you need to fix the issue, but in cases where this doesn’t work, you should call a professional plumbing company. If you’re looking for a way to prevent costly plumbing repairs, we highly recommend a regular maintenance schedule with your local plumbing company. Plumbing issues have a way of sneaking up on you, and one quick inspection may be all you need to remedy a potentially major issue. When you need a professional plumber in Phoenix, call the experts at Robins Plumbing, Inc. We specialize in both residential and commercial plumbing services, as well as drain cleaning, backflow prevention, jetting services, and more.